Septic Care septic and drain field treatment is the fast, easy, effective and efficient way to ensure septic and drain field health. One sachet per month is sufficient for households of up to six people. Septic Care contains beneficial bacteria specifically designed to eat waste, paper and organic matter and to clear any blockages in the bathroom pipework and plumbing. The Septic Care pack includes 2 x 13g water soluble sachets containing over 60 different strains of enzyme-producing bacteria to safely and quickly degrade many different forms of waste. For an alternative to harsh chemicals, to reduce costly pump outs, eliminate nasty smells and to maintain a healthy septic system and free flowing drain field, use one sachet per month of Septic Care. The Septic Care Starter pack contains 2 x 13g water soluble sachets with 25% higher levels of bacteria than regular Septic Care. 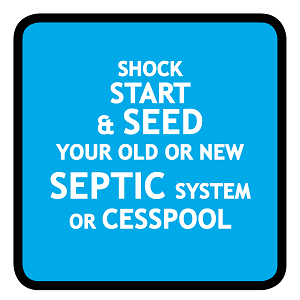 Septic Care Starter is ideal to shock dose problem systems or seed new tanks or cesspools. The regular pack can then be used as a follow-up treatment once healthy bacteria levels are established. 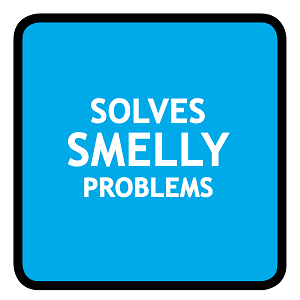 ...with Septic Care from Biomaster.